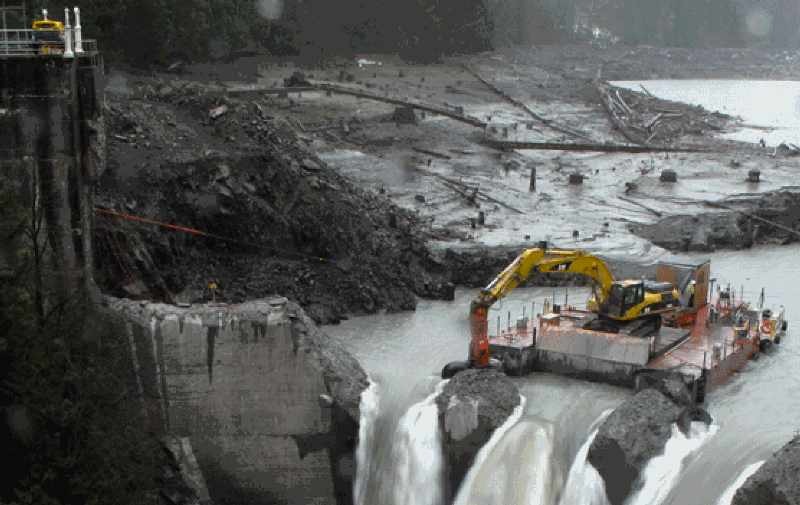 The second of two dams along the Elwha River in Washington State was demolished by crews Tuesday at Glines Canyon. The Elwha River now runs free for the first time in more than 100 years, and habitats for fish and wildlife are already recovering. Since the National Park Service began the Elwha River restoration project three years ago and the first dam was removed, sediment once trapped has gradually rebuilt riverbanks and created estuary habitat for crabs, clams, and other species. Salmon populations are recovering, and researchers expect the whole food web—from invertebrates to birds to otters and bears—to benefit.